The Juniper Mountains are awesome and Shadow Rock Ranch is the best of the Juniper Mountains. The kind of magic that makes weekend getaways special, vacations unforgettable and permanent residence more like a lifelong vacation. It is magic that many are quite rightly calling the vanishing America, a quiet, secluded, view-rich, nature-blessed wilderness environment. A Bug-Out place far removed from the crowds, smog and stress of metropolitan living, yet convenient to necessities. A peaceful, pristine, beautiful world apart that refreshes and renews. These re-sale properties in The Juniper Mountains of Arizona, specifically in Shadow Rock Ranch, present an opportunity to own a large (yet affordable) tract of this vanishing wilderness a unique treasure to enjoy now, to preserve and proudly pass on to generations ahead. I made a map of the whole area showing the three neighborhoods of Juniper Mountain Ranches, Shadow Rock Ranch and Sierra Verde Ranch. See it here . 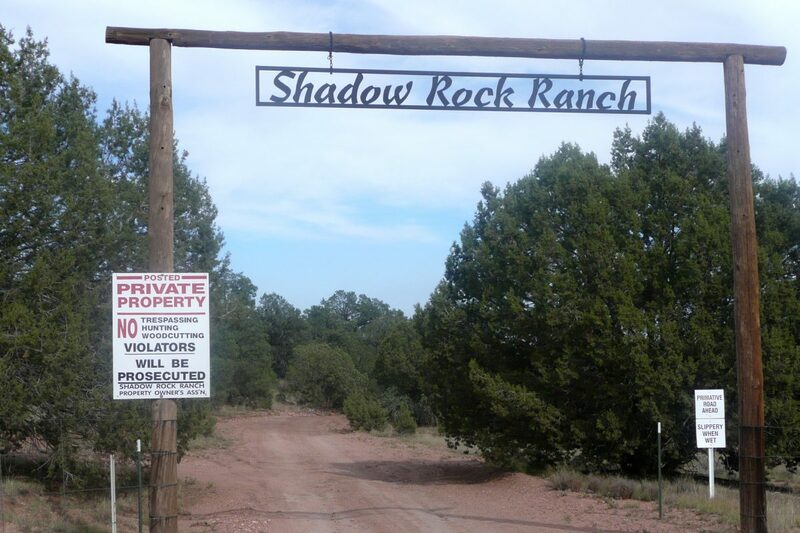 Shadow Rock Ranch is southwest of Seligman east of Anvil Rock Road starting at Our Street (The name of the street is “Our Street.”) about 6.5 miles south of Exit 109 on Interstate 40. There were originally 107 lots in Units I through III. The lots were surveyed and recorded starting in July of 1987. The Juniper Mountains are only 2 1/2 hours from the deserts of Las Vegas and only 3 hours from the heat of Phoenix! The vegetation in Shadow Rock Ranch is rich and varied, including piñon pine and juniper evergreens and native grasses. Crystal clean skies and pure mountain air make these properties incredibly desirable. The elevations in Shadow Rock Ranch ranges from 5,500-6,200 ft thus yielding a very pleasant higher than mile-high climate. No severe winters nor intense summers here — only four distinct seasons, yet all are mild. Shadow Rock Ranch may be a great place for your cabin or hunting lodge. 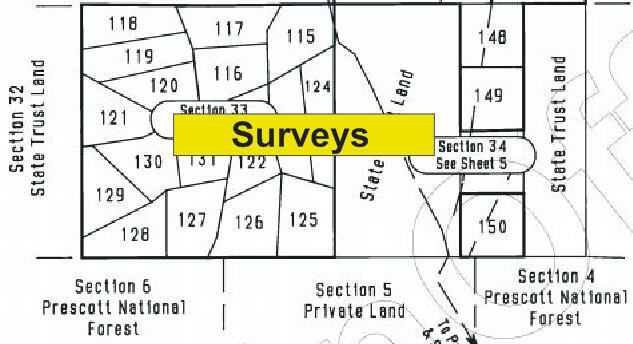 All properties were surveyed, mostly into irregular shaped lots due to the many picturesque canyons. Monuments mark each parcel corner but because of the rugged terrain, you will likely need help in locating property boundaries for individual lots. Water is available from a community well, access to which is available to all property owners in Shadow Rock Ranch.The Shadow Rock Association has made improvements to the community well. There is a new propane-powered 2,200 VA motor-generator at the wellhead providing power to pump water from deep in the well into a storage tank on the surface. It will also provide power to a smaller pump to load water in minutes from the surface tank into your hauling tank thus eliminating the need for you to have your own large motor-generator. I have heard that a 1,000 gallon tank can be filled in 9 minutes. That is over 100 gpm! There are many sections of Arizona State Trust Land in the area, some of which are adjacent to a few properties in Shadow Rock Ranch. 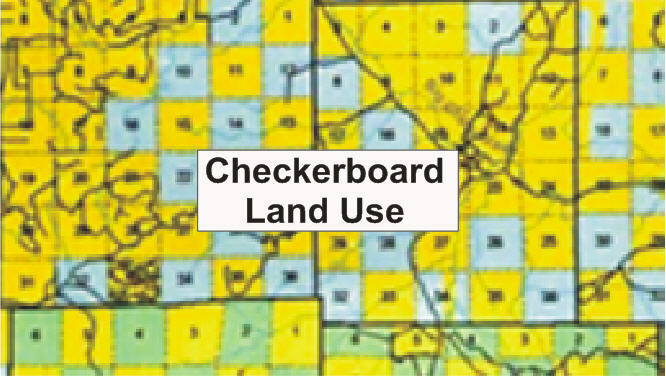 Read about the Checkerboard Land Pattern for more information. Parcel prices and terms vary according to specific location, terrain, features and amenities as well and are determined by each owner. 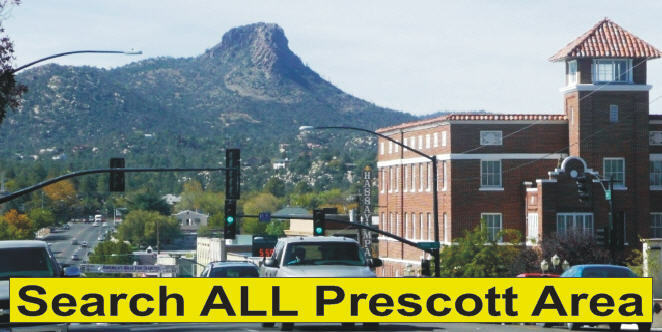 The quaint and historic town of Seligman is an interesting place to visit. It is known as “The Birthplace of Route 66” See the virtual tour of Seligman here. I made a map of Shadow Rock Ranch. Get your copy here.